Serving the swimming pool needs of Bay City, Saginaw, Midland, The Thumb and surrounding areas since 1965. 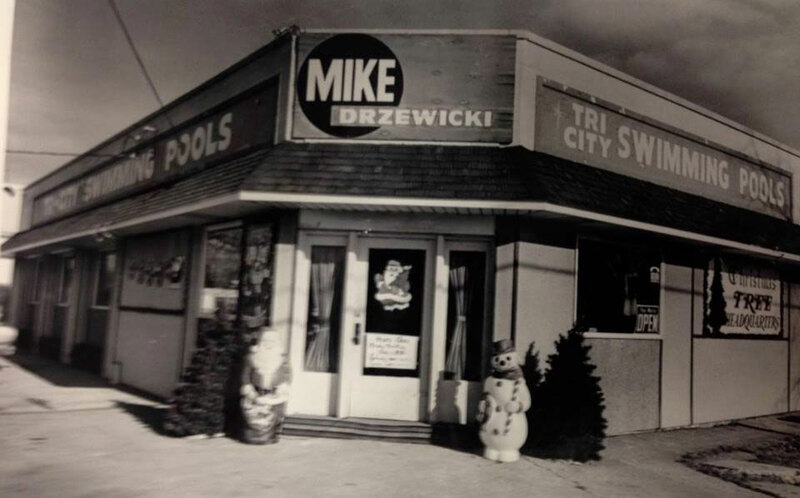 Mike(Marion) and Jan Drzewicki started Tri City Swimming Pools in 1965. Little did they know that what was started with pool chemicals in the back of their garage, and a back room office in their home, would eventually lead to where the company is located today, and has been for over 50 years now, serving the state of Michigan and considered a leader in swimming pool technology, chemicals and service. Tri City Swimming Pools, Inc. is a family-owned business, where many of Mike and Jan’s children assisted in the business at one time or another. The current staff of employees, which still includes four of the Drzewicki children, have over a combined 140 years of swimming pool knowledge and serving the area in all swimming pool needs. From selecting the right swimming pool for you, to installation and maintenance, Tri City Swimming Pools, Inc. is here for you. What started over 50 years ago as a small family business, has grown into a swimming pool company serving thousands of satisfied customers.